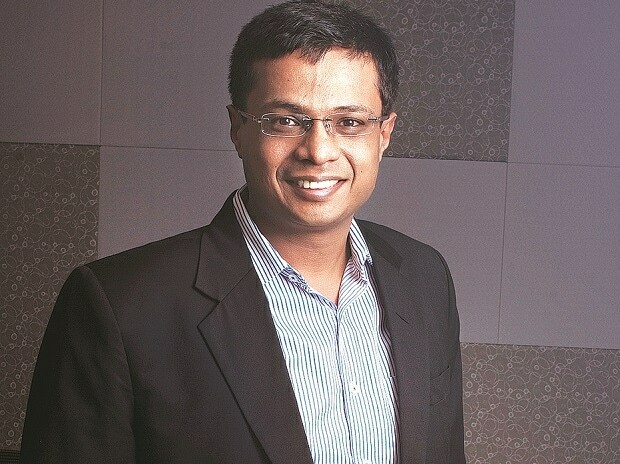 Flipkart co-founder Sachin Bansal, who had to step down when Walmart acquired the Bengaluru-based e-commerce major last year, has invested Rs 150 crore (around $21 million) in ride-hailing company Ola, filing with the Registrar of Companies (RoC) shows. This is learnt to be the first tranche of around Rs 650 crore investment in the company by Bansal. A company’s spokesperson declined to comment on the matter. The deal brings the two start-up stalwarts — Bansal and Ola co-founder and chief executive officer Bhavish Aggarwal — together in the backdrop of growing foreign control in this space. This is Bansal’s first major move after leaving Flipkart last May. It is not immediately clear whether Bansal’s role in the company will be confined to an investor or if he would be offered a board seat in lieu of his investment. However, he’s expected to work closely with Aggarwal and other company brass, sources in the know said. Bansal, who’s considering another round of investment in electric scooter maker Ather Energy, bought 70,588 preference share in ANI Technologies, the parent firm of Ola, on January 12, according to company documents sourced from Paper.VC, a business signals platform. This is part of the on-going funding by the cab-hailing firm — series J — which is, in major part, subscribed by Steadview Capital. The London-based investor recently invested Rs 520 crore ($75 million) in the firm, pushing up Ola’s valuation to around $5.74 billion. In October 2017, when Ola had raised $1.1 billion in a round that was led by Tencent and in which SoftBank participated, the company had said it was in talks with more investors to close a total of $2 billion as a part of that round. Since then, the company has announced raising funds in smaller tranches, the last one being the investment by Steadview. Contemporaries since early days, Bansal and Aggarwal had teamed up in 2016, when their respective companies lobbied before the government seeking a policy to protect the interest of local entrepreneurs. But, both Ola and Flipkart have been funded by marquee foreign investors. And in 2018, American retail major Walmart acquired a majority stake in Flipkart for $16 billion. An active angel investor during his Flipkart days, having funded prominent players such as Tracxn and Ather Energy, Bansal is now taking start-up investments seriously, sources said. Bansal got around $1 billion from his Flipkart shares and exit remuneration. "This (Sachin's investment in Ola) is not just about the money he has put in. Ola is at a level where it will either acquire (another firm), get acquired or go for an IPO (initial public offering). When you are doing either of these three, you have to have on your side people who have been there and done that," said Sanchit Vir Gogia, chief analyst and CEO at Greyhound Research. "We should expect something out of Ola soon," added Gogia. Ola is locked in a battle with Uber on the Indian turf. What makes this contest complicated is that Japan's Softbank is a common investor and wants the two firms to aim for profitability cutting down the losses, possibly by merging their India operations. Uber is preparing for an IPO in the US. Owing to the mounting losses, the San Francisco-headquartered company sold its operations in Russia, China and South-East Asia to local rivals. Meanwhile, Ola is diversifying into online food delivery and grocery while foraying into global markets including the UK, Australia and New Zealand. It had entered the food delivery space by acquiring FoodPanda in 2017. The company is also working on adjoining services like in-cab entertainment and advertising system OlaPlay, native wallet Ola Money, and scooter rental through recent partnership with Vogo. So far, Ola is learnt to have maintained a marginal lead over Uber in India, with more driver partners, daily rides and presences in cities.